It’s the sauce that keeps you coming back for more! This sauce is seriously addictive! If you haven’t tried this yet you need to make this ASAP! 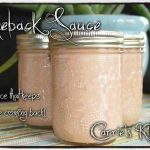 This sauce can be used for so many yummy foods! 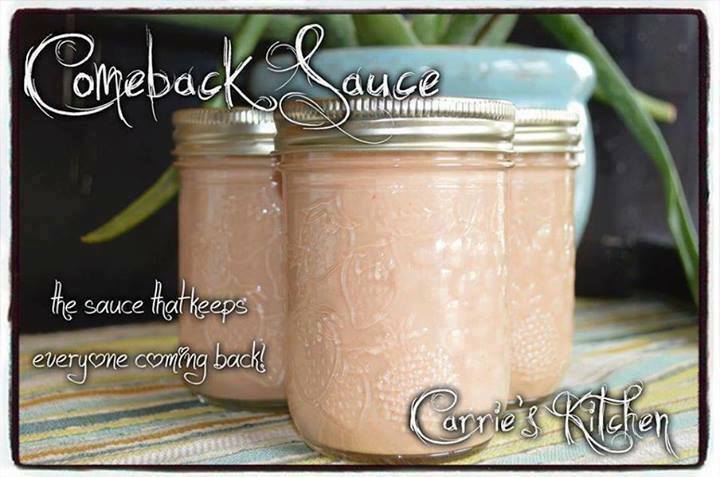 Try Comeback Sauce with; onion Rings, fries, sweet potato fries, hamburgers, veggies (for a low carb snack). If you are doing low carb just be sure to use a low sugar ketchup. Every time I serve this I always have people asking what it is and asking me for the recipe. It’s so delicious! Stores great in the fridge, you will always want to have some on hand. Get 2017 off to the right start! Check out->> TeDivina DETOX TEA! Mix all ingredients together and chill for a couple of hours before serving. HOW LONG DOES IT LAST IN FRIDGE AFTER YOU MAKE A BATCH? This is a wonderful condiment for almost anything. I used it as a sauce in which to dip boiled shrimp and it was AWESOME ! Can’t wait to try this sauce.